If looking at this guitar doesn’t incite a strong urge to pick it up and start strumming “The Boxer” or “Behind Blue Eyes,” you may need to rethink your musical tastes. As part of Silvertone’s new line of acoustic reissues, the 633E is in fact a classic mid-’60s Silvertone Sovereign reborn. It retains that model’s distinctively stout dreadnought shape, yet it boasts some spiffy new features to bring it into the modern age. 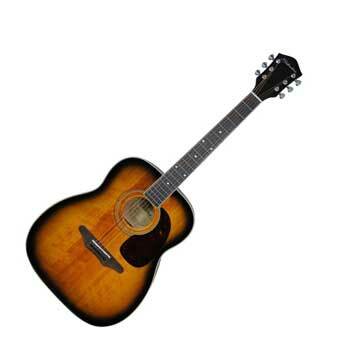 For starters, a truss rod replaces the old steel rod in the neck, which players who plan to own this guitar for years to come will surely appreciate. The tonewoods have also been upgraded to an Englemann spruce top and mahogany back and sides — a combination that’s known for balancing smooth top end with punchy, present mids. Last but not least, the addition of a Fishman Clearwave 60 preamp lets you plug in, tune up and dial in your perfect amplified tone. Did you watch? 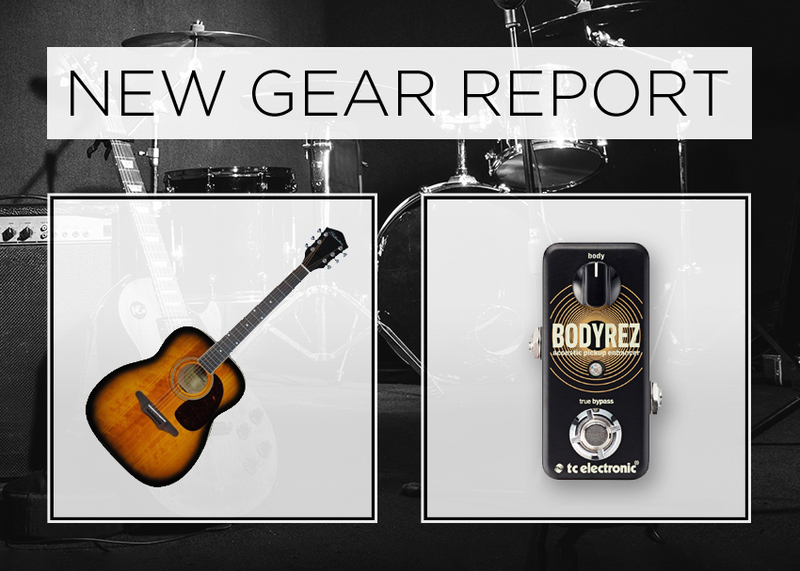 The tone gets fuller as you turn the “body” knob to the right! 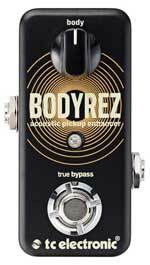 As anyone who’s plugged in an acoustic-electric guitar for a live show knows, piezo pickups don’t always faithfully translate your acoustic tone, and can add a bit of “quack.” Bodyrez tames that effect, adding richness/warmth/body/resonance/sweet, sweet tonal bliss to your sound, by way of TC Electronic’s filters and compression. All you have to decide is how much of this ear candy you want to dial in!